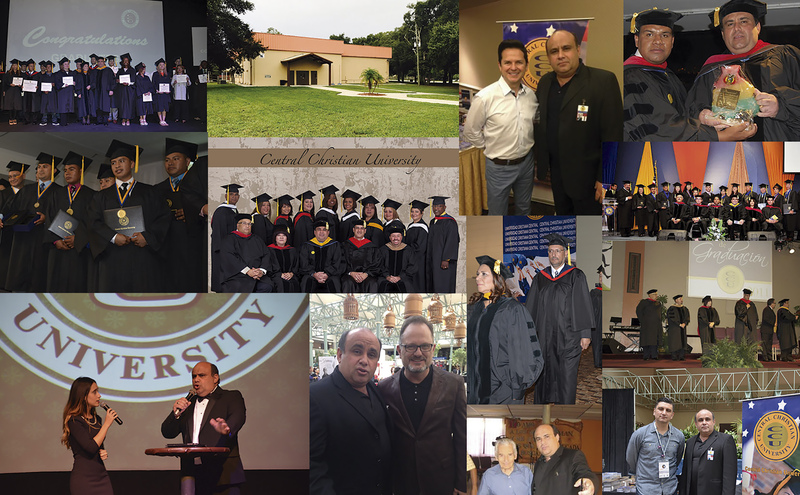 In 2 003, Pastor Juan Carlos Amesty challenged his congregation at Missionary Church of God in Orlando, FL to establish a Christian University whose students would “go out in all walks of life to impact this world for God.” Soon after, Central Christian University became a reality. Through those founding years, students and faculty were inspired to influence the world with the message of Jesus Christ in their chosen area of study. By 2008, the school had impacted many countries in Latin America with the Gospel of Jesus, adding programs and garnering recognition. CCU pioneered in establishing an educational institution in countries no Christian institution had done so, launching CCU in La Paz, Bolivia, and Port au Prince, Haiti. While the Father has accomplished much over the last years, today we invite you to join us in asking the LORD to complete the first fifteen years by Firming the Foundation! Over the next twelve months, we are asking the Father to raise $7,000,000 to fully establish the work of our hands. You are invited to join God in this effort by being a prayer partner, and by giving, as the Father Leads. You can be a foundation partner by giving $500 or more, a Blue Level by giving $1,000 or more, a Bronze Level partner by giving $10,000.00 or more, a Silver Level partner by giving $50,000 or more, a Gold Level partner by giving $100,000 or more, or a Platinum Level partner by giving $250,000 or more. Your gift can be given as a one-time gift, in two semi-annual gifts, in four quarterly gifts, or in twelve monthly gifts. You can give online, check by mail, and check, cash or credit/debit card in person. Would you prayerfully consider how the Father would have you join Him in reaching our communities through the work of CCU today?